Mass spectrometry (MS)-based identification and characterization of protein complexes is becoming a prerequisite for in-depth biochemical analyses of intracellular processes. 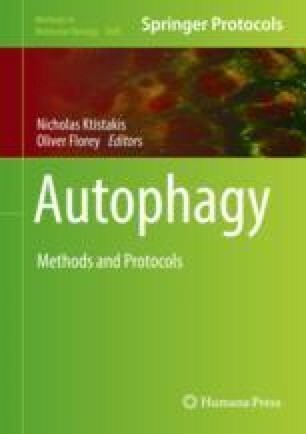 Here, we describe two state-of-the-art MS-based approaches to characterize protein-protein interactions and multi-protein complexes involved in autophagy in mammalian cells. The combination of affinity purification (AP)-MS, which identifies binary protein-protein interactions, with size-exclusion chromatography (SEC)-protein correlation profiling (PCP), which helps monitor protein complex assemblies, is a powerful tool to acquire a full overview of the interlinkage and regulation of novel multi-protein complexes that might play a role in autophagy. This work was generously supported by the Swiss National Science Foundation (grants 31003A-166482/1, 316030-177088 ), by the Novartis Foundation for Medical-Biological Research (grant 16C221), by TRANSAUTOPHAGY (COST Action CA15138), and by the Alexander von Humboldt Foundation.